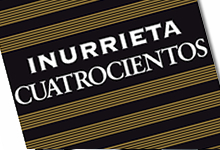 The Inurrieta name refers to the lands where the ancestors of the family grew grapes nearly a century ago. 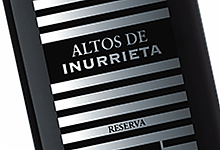 The new generations chose this name as a tribute to those loved ones who were so devoted to wine. The reunion with the tradition they grew up with made this project possible in 1999 with the planting of the first vines. The vineyard is located in the tiny Valley in Navarre’s Upper Rivera region. 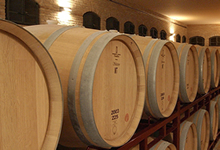 Their vineyards are planted on 3 different types of soil at altitudes ranging between 300 and 480 metres above sea level. This allows them to grow 6 different grape varieties under the best conditions. From a vineyard on a steep slope, where our Syrah vines dig their roots deep into the soil, becoming true survivors; from the most accommodating vines that are most generous in nuances, this wine is born. It is a red wine made with 100% Syrah grapes, aged for 15 months in new French and American oak barrels. It is a wonderful deep black, with a lively, purple rim. Intense, complex nose of blackberries and lilacs, and balsamic, mocha and mineral hints. Smooth yet elegantly powerful attack. Creamy tannins and a mixture of fresh and candied fruit mark its intense mouthfeel. Firm body with sweet, polished tannins. It concludes with a long, flavoursome finish.